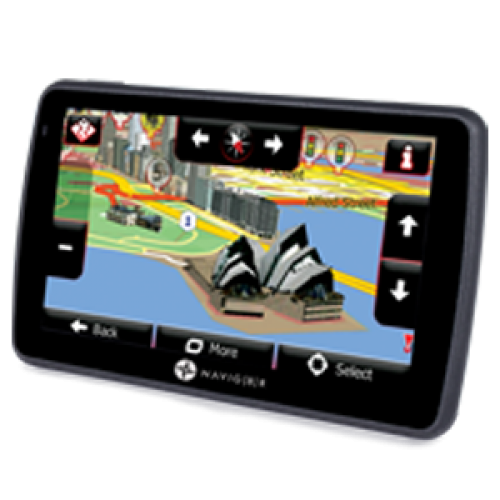 The Navig8r P50 Pro offers the latest features in portable navigation making the GPS unit more than just a navigation device. The rich 3D content provides a stunning visual experience showing land topography, city scapes, virtual signposts and junction views. Incorporating the latest Navteq map data, the P50 Pro caters to professional drivers by providing warnings for truck specific hazards such as low bridges, high wind and steep gradients. The P50 Pro also contains the best of IGO Primo routing logic including green routing and contains all the must have features such as Text to Speech, Safety Cameras, lane guidance and a plethora of useful utilities.